Stanford University molecular biologist Sharon Long says, “We have discovered a new biological process, by which leguminous plants control behavior of symbiotic bacteria. These plants have a specialized protein processing system that generates specific protein signals. These were hitherto unknown, but it turns out they are critical to cause nitrogen fixation.” This is a critical matter in feeding and fueling our populous planet. Here’s why. Nitrogen is vital for all plant life from algae to trees. It’s one of the three main fertility elements, the others being phosphorus and potassium. Without these plant life as we need it would not support humanity. Our numbers now require synthesized fertility application, and more will be needed. Thus any breakthrough that makes more plant food available is of major importance. One plant family, legumes you’ll recognize as peas, beans, and the livestock foods alfalfa and clover have a symbiotic relationship with bacteria that captures nitrogen from the air and turn it into plant food, a sort of “do it yourself” solution. The system has been poorly understood, even while being exploited by farmers for centuries, but now the little universe has been cracked open. The key part of the process that Long’s research group uncovered is a plant gene that triggers a critical chemical signal. Without the signal, no nitrogen gets fixed by the bacteria. Dong Wang, a postdoctoral scholar in Long’s lab who pinned down the gene, is first author of a paper describing the work, published Feb. 26 in Science. 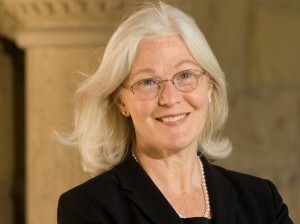 Long, a Stanford University Professor of Biology, is the senior author. The beneficial bacteria in question reside inside root nodules of where they pluck molecules of nitrogen from air in the soil and turn it into ammonia, which feeds the plant. It sounds simple, but it is a complicated and poorly understood process. Only bacteria that contain a special enzyme are capable of this sort of “nitrogen fixing” using airborne nitrogen – no other type of living organism can do it. All other plants have to get their nutrients from using already fixed nitrogen in the soil. This special ability allows legumes to flourish in nitrogen-poor soils, whereas other plants require applications of manufactured nitrogen fertilizer to grow well. This is “magic,” a holy grail if you’ll allow, for massive increases of biomass and reductions in synthetic ammonia manufacturing from natural gas and adding more soils to food and fuel production. Nitrogen Fixing Root Nodules. Click image for more info. The legume that Long’s team worked with is called barrel medic, a forage plant similar to alfalfa. They tracked down the newly discovered gene by studying mutant plants that were failing to produce healthy nodules on their roots. 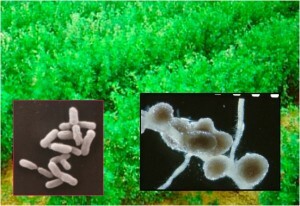 Wang found that the mutant plants generated the proper precursor to the protein needed to nudge the bacteria into fixing nitrogen. But the critical enzyme for processing that precursor into the final signal was missing. So the bacteria simply sat, the nodules didn’t develop and no nitrogen got fixed. By comparing the genome of the mutant plants with normal plants, the group found a gene that was missing from the mutants. Suspecting that gene might be the culprit, the researchers took a functional version of the gene from normal plants and put it into the mutants. The mutant legumes then began fixing nitrogen the same as normal ones, “proving that we found the right gene,” said Wang. Since about the mid 1950s when hybrid seed corn and nitrogen fertilization took off nitrogen fertilizer use has skyrocketed. Anhydrous ammonia nitrogen fertilizer is pretty good at escaping the soil – much has left by water runoff to fertilize algae blooms as large as 7,000 square miles in the Gulf of Mexico creating ‘dead zones’ of other sea life. Anhydrous ammonia’s dependency on natural gas has introduced dramatic costs to food and fuel production. Long accurately observes, “That might make things more expensive for American farmers and increase food prices for consumers, but this is going to wipe out people in developing countries, whose soils are perhaps most in need of fertilizers. This is a crucial issue. And nitrogen fixation is a key to sustainability.” The world is going to need a lot more nitrogen plant food. The bigger picture hints that the plant genetics and the rhizobium bacteria could be modified into other major food and fuel crops. That’s the holy grail – filled with wine. For all the attention we give to the biomass process technology, just getting the biomass is job one. Without the element plant foods in adequate and low cost supply, the process technology wouldn’t matter. Living in farming country – boardered on two sides by producing fields – I am aware of what it takes for crops to produce. A lot of energy goes into just spreading fertilizer over and above what is spent in creating it. Soy beans are great but a no till corn crop that creates it’s own fertilizer would greatly reduce the energy input and increase the farmer’s return. Good sharing of concept here any way many thanks for posting valueble information..before I possibly could thank allowed coment on your own blog, I recieve a lot of information of your stuff, If only I really could be much more information from you . I’m Jorge da Silva, Professor at Texas A&M University and the sugarcane breeder for the state of Texas. We have a strong bioenergy program and I was wondering if you had any information of bacteria fixing N in symbiosis with gramineas, such as sugarcane. It has been published in the past by Dr. Dobenheiner’s group in Brazil. Would you have any interest on a potential collaboration?